AAMCO South Tampa, FL can help to keep your vehicle’s maintenance up-to-date and provides all of the important service needs as stated in your owner's manual. The experts at AAMCO South Tampa, FL can provide all the factory recommended maintenance scheduled services your vehicle requires to keep you safe on the road. These services can also help extend the life of your car and prevent high-cost auto repairs later. We know your car like your dealer but can service it for less! If you're like many drivers, you may follow the factory maintenance schedule while your car or truck is under warranty. Unfortunately, once your warranty expires it's easy to let proper maintenance slip, just when it's most critical. Automotive manufacturers know that a well maintained car, truck or SUV increases owner satisfaction because the vehicle is more dependable and will last longer. That's why the manufacturer ("factory") creates detailed maintenance schedules outlining specific operations to be performed on various components and systems. This is done at different mileage intervals to ensure proper operation and prevent premature wear. Our skilled technicians perform a wide range of services specified in your owner’s manual, making AAMCO South Tampa, FL your one-stop shop for all of your vehicle's repairs. Your vehicle's manufacturer also indicates which services are required to maintain the factory warranty and extended warranty. We're here to help you keep in warranty or keep track of your maintenance needs long after your car is out of warranty. 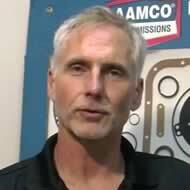 Let AAMCO South Tampa, FL help you determine and follow your car’s maintenance schedule. Stop in today or call us now for a convenient appointment.